Hibernians overcame an early setback to ease past Senglea Athletic. The Cottonera clan side exposed the limitations of a side playing with three at the back as Augusto Caseres dribbled his way into the penalty area, rounded goalkeeper Rudy Briffa before putting the ball inside an empty net. Hibs made it one-all on 15 minutes. Ian Azzopardi was judged to have handled a lofted cross by Joao Moreira inside the penalty area. An assertive Alan Mario Sant ordered a penalty and Clayton Failla stepped up for the kick and booted a low shot behind Matthew Farrugia. Just before half-time, Failla delivered an inviting ball from corner and with Senglea defenders failing to clear, Moreira nipped in to plant a low shot into the net from close range. 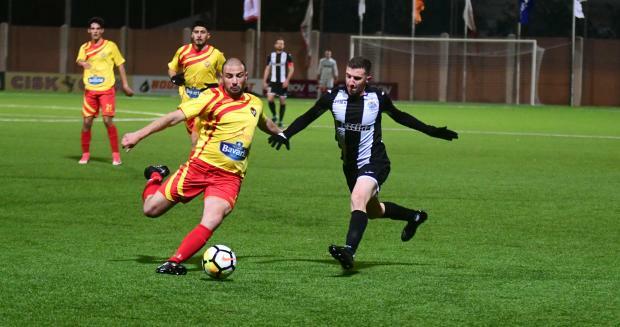 Midway through the second half, the champions secured the points when Johann Bezzina’s brilliance zipped open the Senglea area as the midfielder slipped the ball towards the unmarked Jurgen Degabriele who fired the ball past Farrugia. A superb pass from the halfway line by Martin Kreuzriegler set up Dunstan Vella for an exquisite shot from just outside the box that flew into the net via the post. At death substitute Arlindo slotted in number five on Joseph Mbong’s cross. BOV Player of the match Johann Bezzina (Hibernians).